Writing a compare and contrast essay is very different from writing a general essay. In a normal essay, there is a single or limited number of themes and subjects to write upon. A student doesn’t have to think of too many things while writing a general essay. On the other hand, a compare and contrast essay is a different ball game. It requires the student to be focused on more than one theme, topic or subject so that he or she is able to bring out the comparison, similarities and differences in a convincing manner. Quite often a student can come at a situation where he or she has to write a compare and contrast essay. 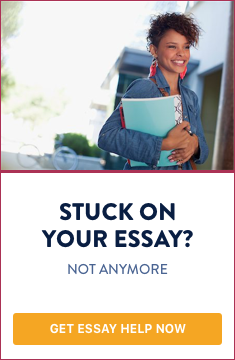 This might cause some students to worry, as they might be adept at writing general essays but inexperienced in writing compare and contrast essays. This article is aimed at helping those students who want to know how to write a compare and contrast essay. This is very important, as it is the key to writing the essay. You must read the topic or research question properly and thoroughly so that you get well acquainted with the topic/research question. Quite often it happens that the student is unable to get good ideas in the initial phase. This happens if the research topic or question is not very clear to the student. If this happens then you should try to extract the meaning of the specific keywords in the topic. Accessing online or offline dictionary can help you in this case. A search on Google, Yahoo, Bing or Ask might also get some solid clues. This is the second step in writing the compare and contrast essay. The two main ideas, themes, characters, symbols, objects, etc., should be clearly picked in this step. For example, in the above topic the characteristics and functionality of the two operating systems or the two smartphones should be clearly noted and documented at this stage. For example, the difference in screen resolution, screen size, usability, touch functions, etc., should be clearly researched and documented so that it could be presented in the next stage. Once you have enough contrasting sources, you should start writing the essay. In the beginning part, you should make a general introduction to the topic or research question so that it forms a good introduction for the whole essay. Then you should write something separately on the two main objects, characters, symbols, themes, etc., on which the topic concerns. After that the essay should start comparing and contrasting the different characters, objects, symbols, themes in an orderly fashion. For example, in the example mentioned above, you may write something about the Samsung smartphone in one paragraph and then something contrasting the Nokia smartphone in the next paragraph. By writing successive paragraphs on several distinguishing features of the two phones, you will be able to accomplish the goal of writing a compare and contrast essay. A paragraph containing the conclusion, analysis or recommendation can be a good way to end the essay. The above steps are proven and established ways of writing a compare and contrast essay. This method will help you write a comparative essay on any given topic or research question from any discipline or subject like Arts, Sciences, Religion, History, Geography, etc. In the beginning you might find it difficult to start out a compare and contrast essay writing but if the above steps are followed, you will find writing a compare and contrast essay as an intellectually simulating and rewarding activity.